WARNING! Your heart is about to be crushed into a thousand little pieces. Hello again! Amy here, to review a book that TOTALLY BROKE MY HEART and will, obviously, break yours too. Give a big welcome to Before I Fall by Lauren Oliver!!! Samantha Kingston (Just Sam to most) is one of the most popular high school seniors. She, along with her group of friends, can do whatever they want, whenever they want. Anyone who tells them otherwise… Well, say goodbye to your social status. Cupid Day is supposed to be one ginormous party day. The more roses you have, the more popular you are. Everything is perfect, exactly how it should be, until that night. Sam gets in a terrible accident on her way home from the party and immediately dies. At least, she thinks so. Because when she wakes up the next morning, it’s Cupid Day. Nope, not dead. Not. Even. Close. Or is she? Not only are they mean, Sam’s group of friends all have issues. Hardly anything is ever labeled, but throughout the course of the book, we see problems with not eating, throwing up, etc. However, for all their (immense) faults, the girls do really care about each other. Although I have conflicting emotions about how much I actually like them all, I feel sympathy for them and wish them all the best. After about page 50, I was actually getting really bored with the book. I appreciated seeing how Sam would normally act, but she was so terrible that I started to feel extremely annoyed with her. However, it quickly picked up after that, and I really loved how the book progressed. Sam goes from the most self-centered, annoying, mean girl to someone who makes sure to tell her family she loves them, and goes out of her way to help people. Not to mention the fact that Lauren Oliver actually manages to make it all sound realistic. I have to say, this was a huge factor in how much I liked the book. Mean girls do not go from I hate you to Let’s be best friends! “just because”. I still do not know whether I like the ending. Although I definitely feel like I should’ve seen it coming, I didn’t WANT to, and completely shut the idea out of my head. However, it does wrap up the story in a way that makes perfect sense, and again, keeps it very realistic. But MAN I CRIED SO HARD. OKAY I HAVE TO STOP NOW OR I WILL CRY AGAIN. As I’m sure you can tell from the title, this book broke my heart in two. And then repeatedly smashed it with a sledgehammer. I was enraptured by the story. I just could not look away from the pages. (SO AMAZING) Solid 9/10. Lauren Oliver actually posted a playlist to listen to while you read the book. Should I hate Juliet, or not??? HECK YES! COME CRY WITH ME!!! Have you read Before I Fall??? Will you please cry with me????? How did you like it? Yay/nay on the ending? How about Kent? Should I hate Juliet? If you haven’t read it, is it on your TBR? Did I convince you to read it? Tell me everything down in the comments! I hope you guys enjoyed this review even through all my rambly weirdness! Toodles! 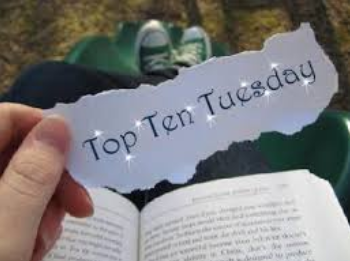 ‹ PreviousOn a crazy whim, I have just decided to join Bout of Books 16! I love this book so ridiculously much. I’m in heaven listening to Lauren Oliver’s playlist for it–thank you so much for posting the link. As for Kent, I so agree with 😦 😦 And, yes, we should 90% Juliet. I LOVE Lauren Oliver! Have you read her Delirium series? I read it last year and fell in love with it! 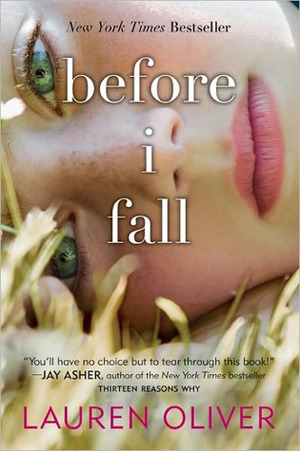 I think I read Before I Fall (awhile ago) because I remember the cover and it being on my shelf, but I don’t remember much about the book. I feel like I’ve read all of her books, but I’m not sure anymore. Like Vanishing Girls for example, I remember checking out this book and I think I read it, but I don’t remember much about it. Maybe I’m just a horrible book worm. Yes! I totally loved the Delirium series, which was why I wanted to read BIF. Oh you’re not a horrible bookworm at all!